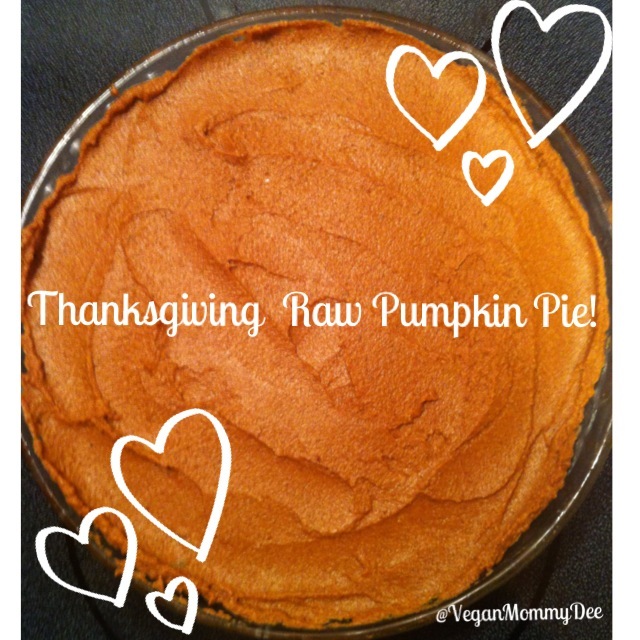 My Raw Vegan Pumpkin Pie! Place the dates in a medium-sized bowl and add boiled water to them from your kettle. 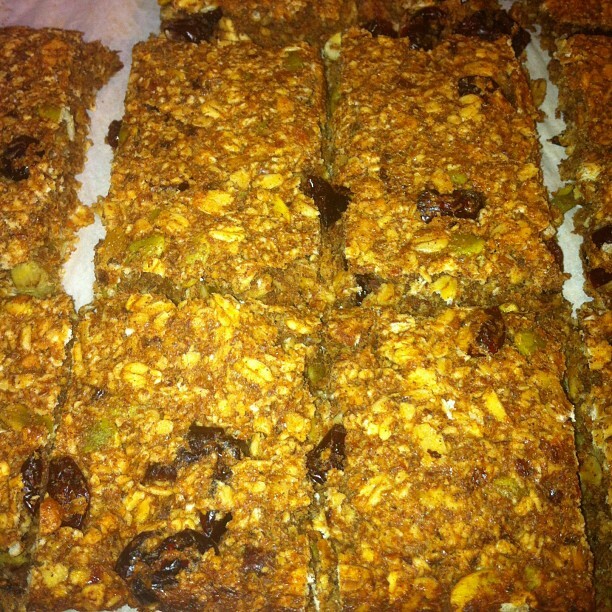 Let them sit there 10-20 minutes to soften up. After your dates have softened you can remove 2 from the bowl and after pitting it add it to the food processor. Your now going to make your pie crust. 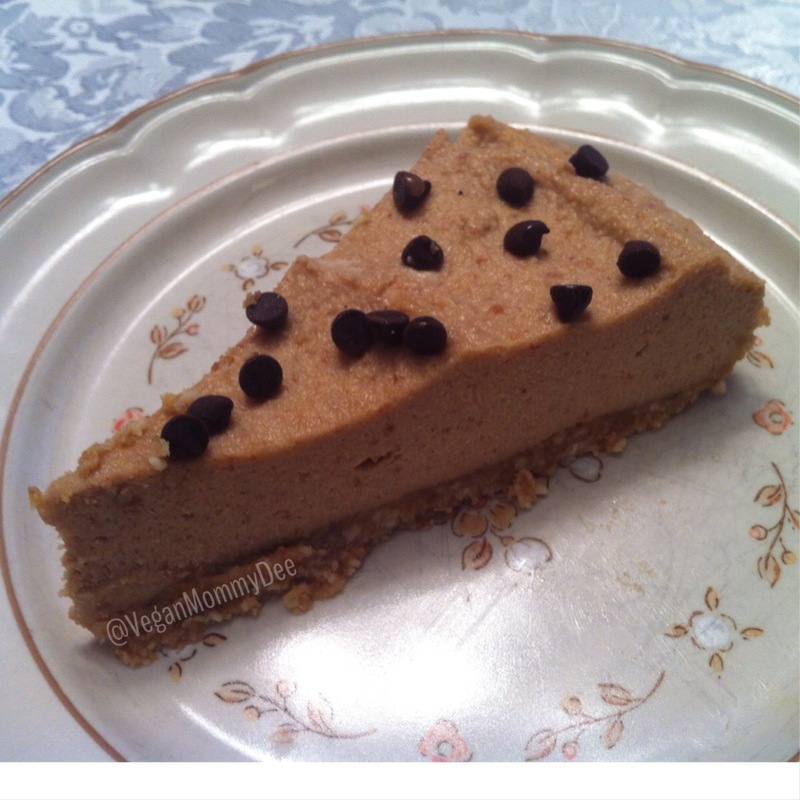 Add in the 1 cup of raw cashews and the 1 tbsp. of shredded coconut. Use the pulse option in order to just combine the ingredients slightly. I then use the low setting on my food processor to combine the ingredients well. Remove the crust ingredients and add them to your pie plate. 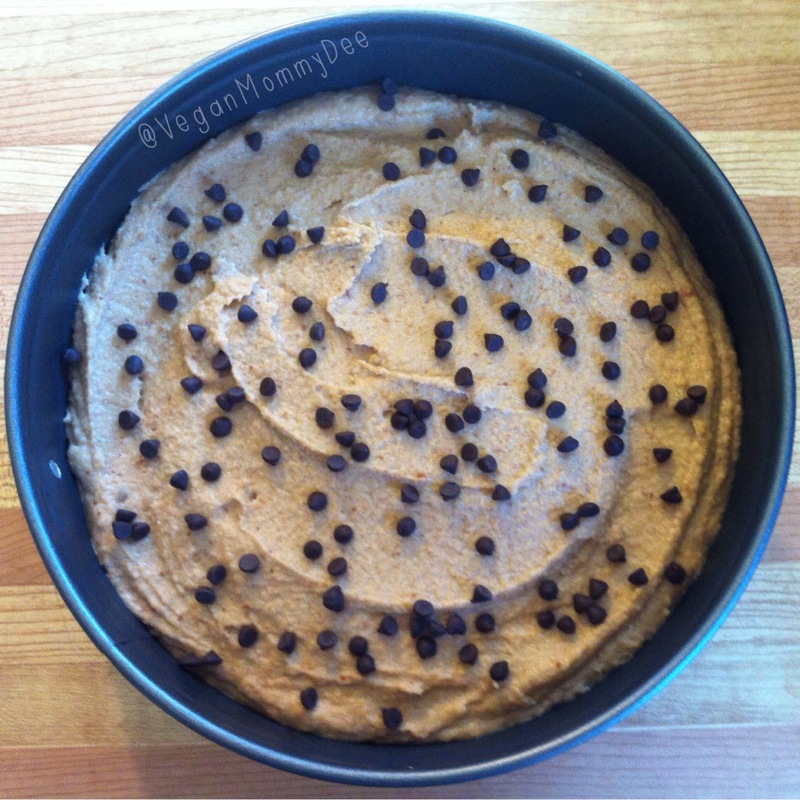 Use your fingers to press down the mixture and spread it out evenly. Set aside. Remove the other 10 dates from the water and remove the pits. Add them to the food processor. 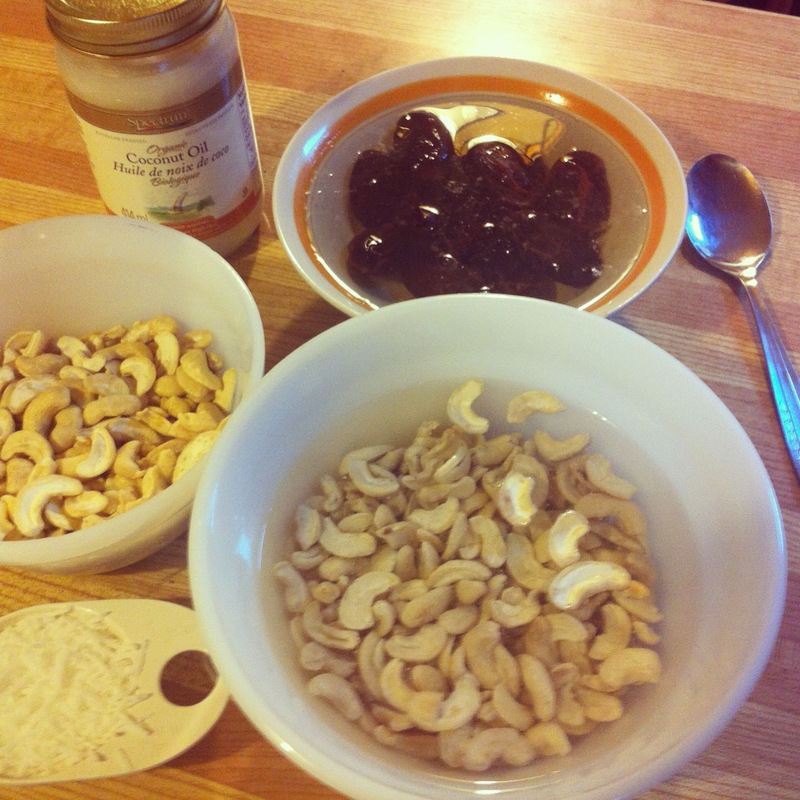 Strain the water out of your 1 1/2 cups cashews and add them to your food processor as well. 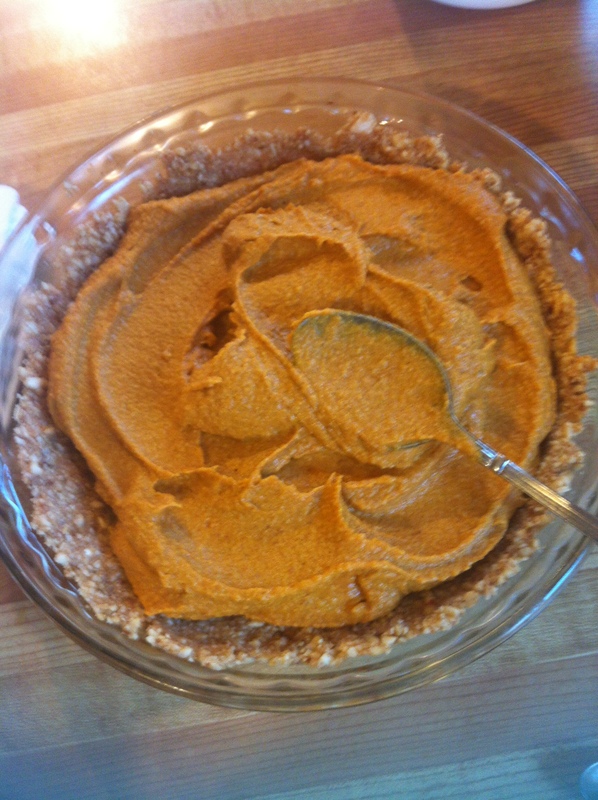 Add in the 1 1/2 cups pure pumpkin puree, 1 heaping tbsp. cinnamon, 2 tsp. pumpkin spice and the 1/2 tsp. pure vanilla extract. Pulse to just chop everything slightly and then use the high-powered option and blend well. I stop mine and use a spoon to scrape down the sides of the processor a couple of times in order to make sure that the nuts puree well. It should be a beautiful smooth consistency. Taste and adjust the spice as needed at this point. Transfer the pie filling into your pie plate. Smooth it out evenly and cover it up with clear cling wrap. Pop it into the freezer for at least 4- 6 hours until it’s set and firm. Once it’s set really well you can place it into the fridge. 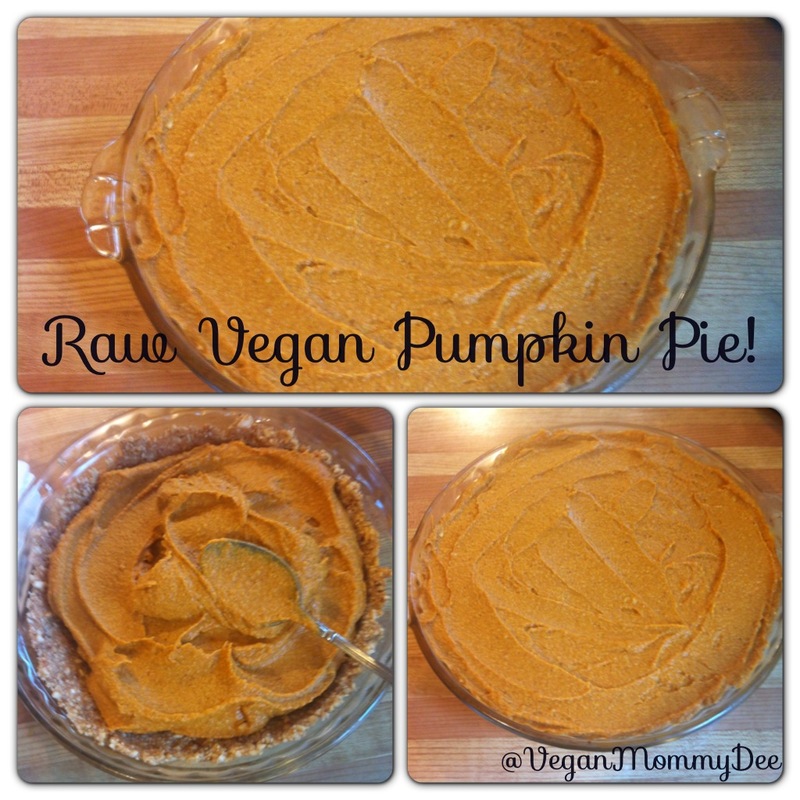 Take the pie out a few minutes before your going to slice and serve it so that it comes to room temperature.